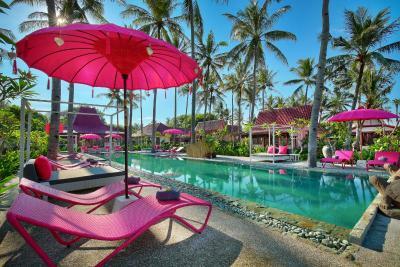 Lock in a great price for PinkCoco Gili Air - rated 9.7 by recent guests. Free tasty cookies, great shower and friendly staff. The coffee and food were amazing. The location was amazing being absolute beachfront. 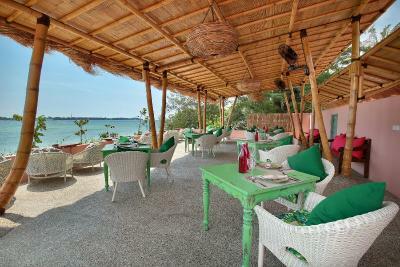 The breakfast was served right on the sand or the roof top restaurant with amazing views and the sounds of waves. The little Tapas bar served great food and wine. 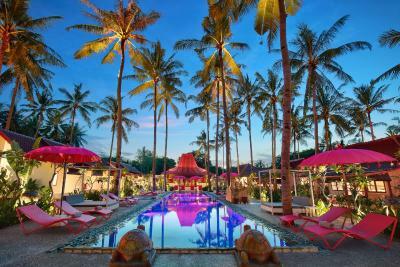 Lovely welcoming staff Nice section of beach Brilliant pool area Good view and scenery around Great tapas bar! The staff, the pool, the breakfast, and the sunsets were all amazing. The hotel thinks of every detail from bracelets on arrival to turndowns with cookies on your bed at night. Attention to detail. Pink Coco have thought of everything! From matching PJs and hair bobbles, to the beautiful accommodation decor, and the lighting by night, the staff are really friendly, helpful and professional, they bring around canapes twice a day for guests, the breakfast was excellent as are the drinks. 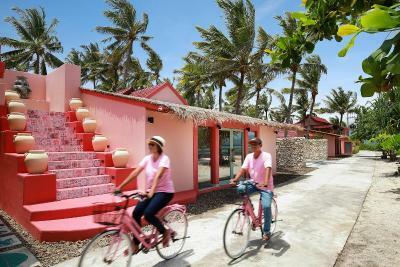 After cycling around the island (on our pink coco bikes! ), it's by far the nicest accommodation! I had a massage at the spa and would highly recommend. 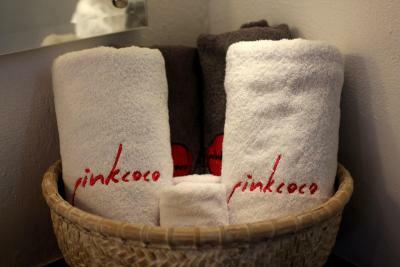 Thank you to all at pink coco for making our honeymoon stay super special! The service was akin to any 5 star hotel at home in Ireland. By far the best island on the hotel! 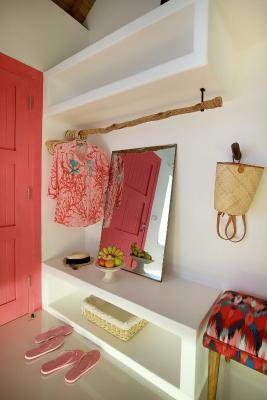 A touch of pink everywhere which is unique and extra ! 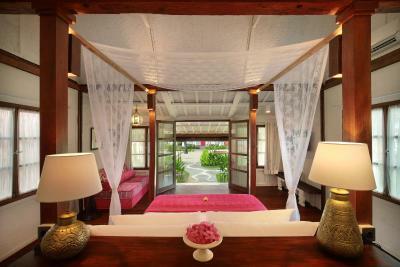 The staff could not have been more friendly and our bungalow... simply amazing. You couldn’t have wanted for anymore, even a turn down service every night. Food was fabulous and trust worthy! Setting was simply amazing and tranquil. Jojo and his team took great care of us. 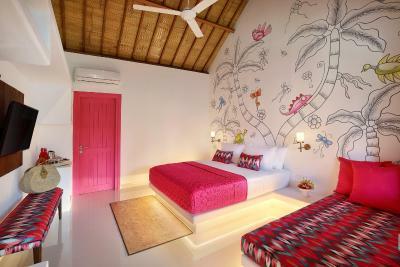 There is no where else to stay on this island PinkCoco all the way ! The staff were so amazing especially Memet and Marley. 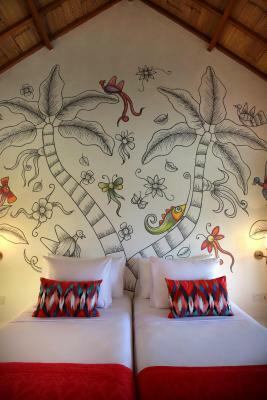 The attention to detail was wonderful which made our stay outstanding. I mean wow!! Perfect place to take fantastic photos. Staff are very attentive and helpful. 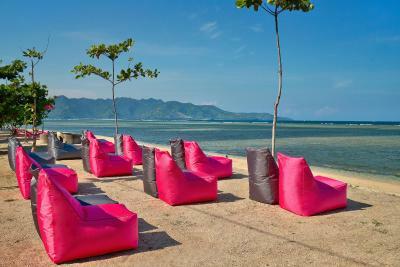 One of our top picks in Gili Air – and a guest favourite. 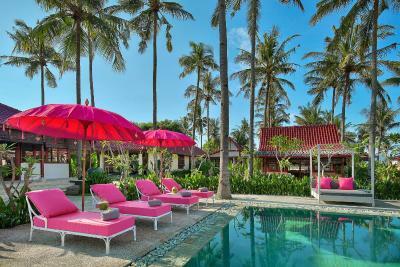 Featuring an outdoor swimming pool and a direct access to the beach, PinkCoco Gili Air is located in Gili Air. 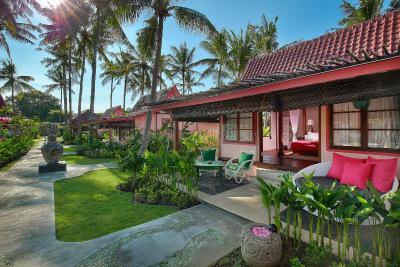 Among the various facilities of this property are a garden, a terrace and a spa centre. Guests can enjoy a drink at the bar or a meal in the restaurant. Free WiFi is provided. 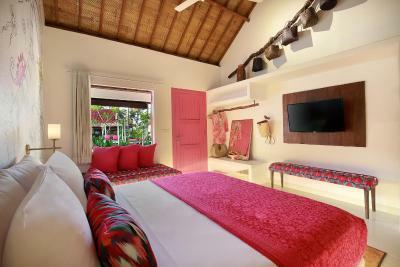 Decorated in bright pink furnishings, the rooms at PinkCoco Gili Air have air conditioning and a flat-screen TV. 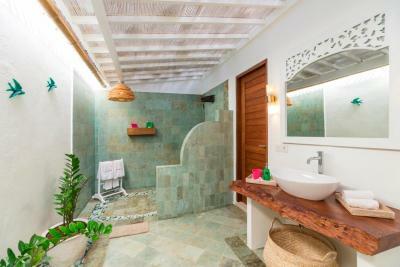 Every room in the property has a private bathroom. 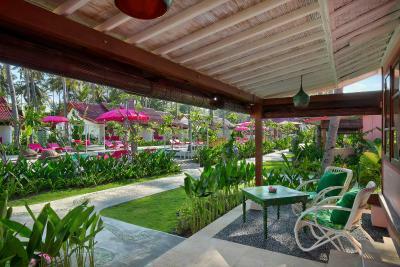 Guests at the accommodation can enjoy daily breakfast. The area is popular for cycling, canoeing, diving and snorkelling. 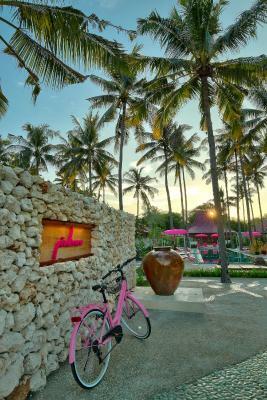 PinkCoco Gili Air offers bike hire for guests who wish to explore the island. 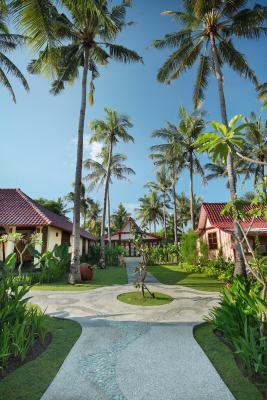 Gili Trawangan is 2.7 miles from the resort, while Tanjung is 5.6 miles away. 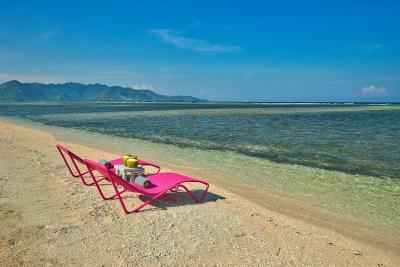 This property also has one of the best-rated locations in Gili Air! Guests are happier about it compared to other properties in the area. 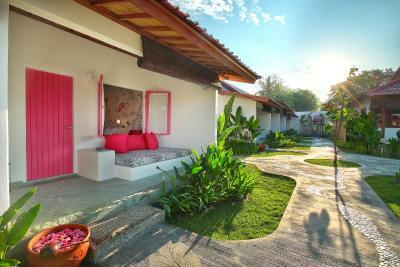 This property is also rated for the best value in Gili Air! Guests are getting more for their money when compared to other properties in this city. PinkCoco Gili Air has been welcoming Booking.com guests since 9 Apr 2018. 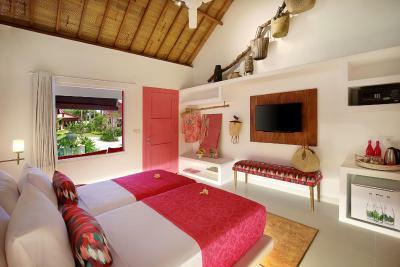 When would you like to stay at PinkCoco Gili Air? 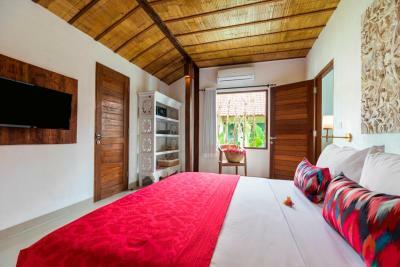 This double room has a flat-screen TV, a safety deposit box and air conditioning. 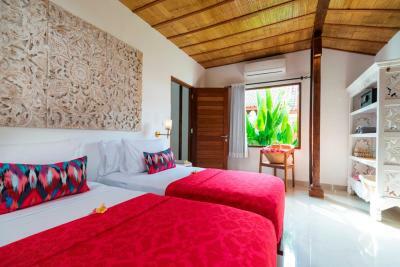 This double room features air conditioning, a flat-screen satellite TV and a seating area. 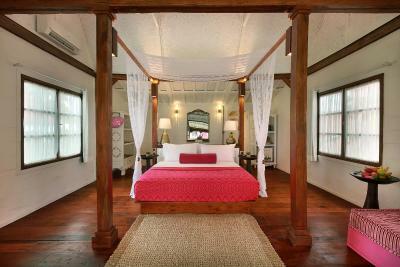 Offering more space, this room has a four-poster bed with mosquito nets and a terrace with garden view. 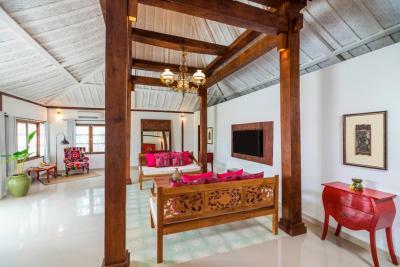 Set in a traditional building, this spacious room has a terrace with garden view and a private bathroom with double vanities. This suite has a tea/coffee maker, flat-screen TV and electric kettle. 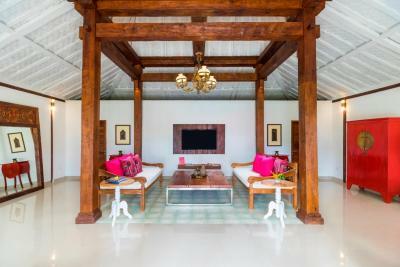 This family room features a satellite TV, dining area and air conditioning. 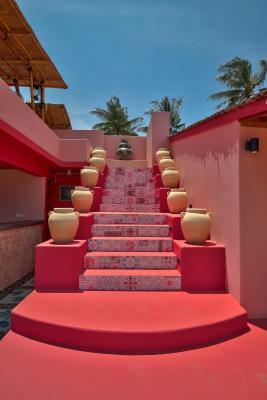 House rules PinkCoco Gili Air takes special requests - add in the next step! Children 1 and older are allowed at resort. 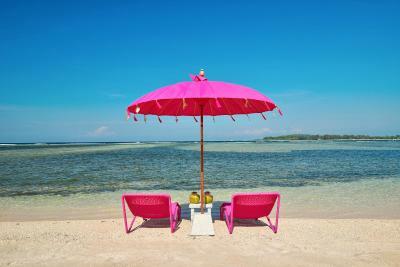 PinkCoco Gili Air accepts these cards and reserves the right to temporarily hold an amount prior to arrival. We love it!!! 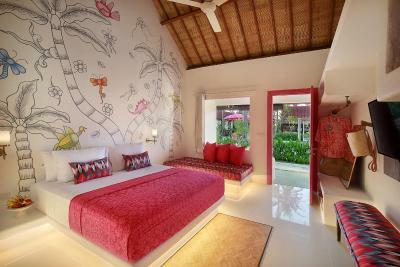 The rooms were basic, but gorgeous and have everything you need. The staff are amazing and super friendly. It was right on the beach... a little far from the centre, but so peaceful and so beautiful!!! The restaurants food wasn't the best and was a bit pricey but was nice and convenient. Loved this location so much my sister and I cancelled our other hotel and stayed for an extra week. Beach was great, pool, food, room was amazing. The food and choice in the restaurant was average, I’d say. Absolutely nothing wrong with it, and you get a big breakfast which sets you up very well. 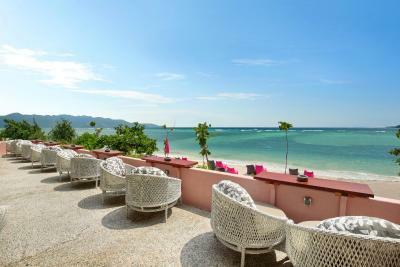 You also have great views of the sea (and sunset) from the terrace. Pink Coco was everything we wanted it to be, and a bit more! 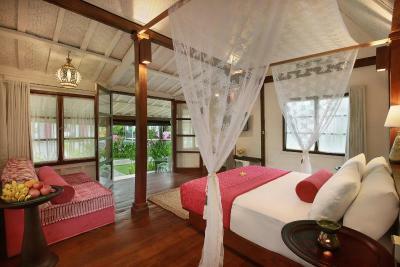 We stayed in a poolside bungalow, which was very comfortable. The room was very clean and the bathroom was nice - it had a lovely shower with good pressure. 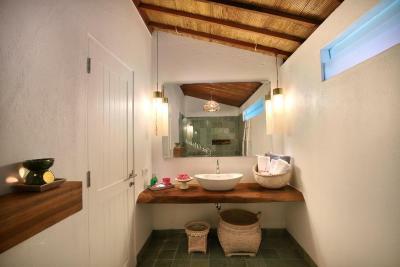 The bathroom has a thatched roof, and didn’t have air con, but we never saw any creepy-crawlies. The air con in the bedroom was great. We loved the little touches like the staff lighting candles in the room at night and leaving cookies for us, and providing plug-in mosquito-repellant. They also leave two bottles of purified water every day. The attention to detail was really impressive. 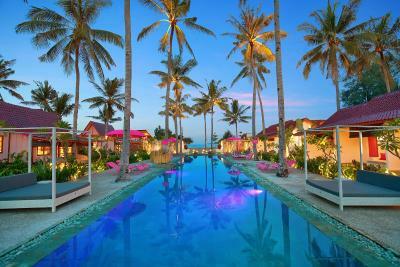 The pool was lovely, in a beautiful garden setting, and you can see the sea from it. The poolside service was also very welcome! The beach outside is only okay, but you can easily walk around the island if you want some beach time (20 minutes to the opposite side of the island - I snorkelled at Sunrise Point). It’s also about a 15-minute walk to the harbour. 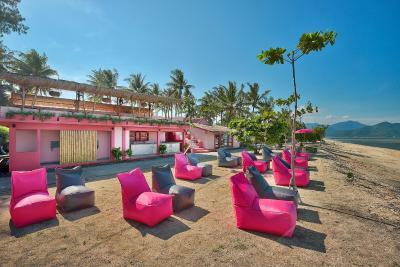 From what we saw of the other hotels on Gili Air, Pink Coco was the best, so we definitely recommend it!